Fed Poly Nekede Current And Approved Academic Calendar Released!!! The management of the Federal Polytechnic after her 37th senate meeting have released her 2017/2018 Approved academic calendar for the 2017/2018 academic session. Sunday 6th November 2017 —2017/2018 first semester begins. Sunday 6th November 2017 — Arrival of OLD and NEW Students (ND1,HND1 and HND2). Monday 7th, November 2017 — Registration of NEW Students(ND1 and HND1) begins. Monday 7th,November 2017 — Lectures begin for OLD students (HND2). Monday 5th,December 2017 — Lectures begin for NEW students (ND1 and HND1). Sunday 8th,January 2018 — ND2 students on 4 months IT resume. Mon 6th- Wed 8th Feb 2018 — Orientation of NEW students. Thursday 6th February 2018 — MATRICULATION. Thursday 30th, March 2018 — End of Lectures. Mon 20th-Fri.25 March 2018 — First Semester REVISION. Monday 27th March 2018 — 2017/2018 First Semester EXAM begins. Saturday 15th April 2018 — 2017/2018 First Semester EXAM ends. Sunday 16th April 2018 — 2017/2018 First semester BREAK. Sunday 23rd April 2017 —2017/2018 SECOND Semester begins. Monday 24th April 2018 — Second Semester LECTURES begins. Mon 19th -Fri. 23th June 2018 — Students Union Week. Wednesday 21st June 2018 — Students Union Government Election. Thursday 22nd June 2018 — RAG DAY. Friday 7th July 2017 — End of second semester lectures. Mon 10th-Fri.14th July 2018 — Second semester REVISION. Monday 17th July 2018 —2017/2018 Second semester EXAM begins. Monday 7th August 2018 — 2017/2018 Second semester EXAM ends. See: Fed Poly Nekede Admission Cut- Off Mark. For More Updates On About Fed Poly Nekede, Like, Share And Subscribe To FPNA Blog. This entry was posted in Academic Calendar and tagged Fed Poly Nekede, Federal Polytechnic Nekde on August 6, 2018 by Mina. 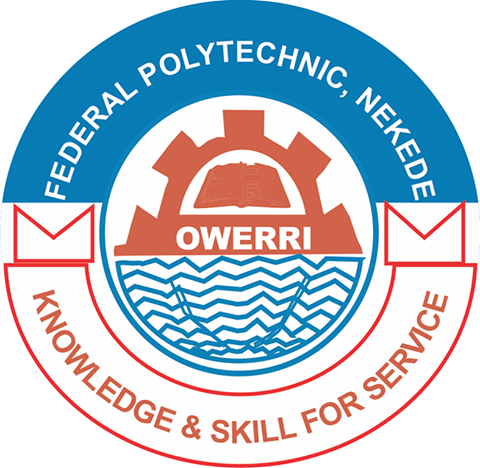 Fed Poly Nekede 2017/2018 HND Evening 1st Batch Admission List Released!! This is to bring to the awareness of the general public and all 2017/2018 Higher National Diploma (HND) Evening (Part Time) Program Admission aspirants of the Federal Polytechnic Nekede that the management of the Polytechnic have released her 2017/2018 HND Evening program First Batch admission List Of Successful candidates for 2017/2018 academic session. Congrats To All Admitted Students!! This entry was posted in Academic Calendar, Campus Gist, Examinations and tagged Fed Poly Nekede, Fed Poly Nekede HND Evening Admission List, Federal Polytechnic Nekede on October 18, 2017 by Mina. Fed Poly Nekede 2017/2018 Proposed Academic Calendar Released!! This is to inform the general public, all students and staffs of the Federal Polytechnic Nekede that the management of the Polytechnic after her 137th annual meeting held in the school last month have released her 2017/2018 proposed academic calendar for 2017/2018 academic session. For Nekede Updates, Like, Share And Subscribe To FPNA Blog. 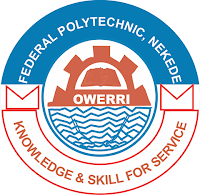 This entry was posted in About Fed Poly Nekede, Academic Calendar, Campus Gist, Post UTME Updates and tagged Fed Poly Nekede, Fed Poly Nekede 2017 Academic Calendar, Federal Polytechnic Nekede, FedPolyNek on October 18, 2017 by Mina. Fed Poly Nekede 2017/2018 Approved Academic Calendar Released!! This is to notify the general public, all students (ND And HND) And staffs of the federal polytechnic Nekede that the management of the polytechnic after her 137th senate meeting have released her 2017/2018 approved academic calendar for 2017/2018 academic session. (1) Sunday 6th November 2017 —2017/2018 first semester begins. (2) Sunday 6th November 2017 — Arrival of OLD and NEW Students (ND1,HND1 and HND2). (3) Monday 7th, November 2017 — Registration of NEW Students(ND1 and HND2) begins. (4) Monday 7th,November 2017 — Lectures begin for OLD students (HND2). (5) Monday 5th,December 2017 — Lectures begin for NEW students (ND1 and HND1). (6) Sunday 8th,January 2018 — ND2 students on 4 months IT resume. (7) Mon 6th- Wed 8th Feb 2018 — Orientation of NEW students. (8) Thursday 6th February 2018 — MATRICULATION. (9) Thursday 30th, March 2018 — End of Lectures. (10) Mon 20th-Fri.25 March 2018 — First Semester REVISION. (11) Monday 27th March 2018 — 2017/2018 First Semester EXAM begins. (12) Saturday 15th April 2018 —2017/2018 First Semester EXAM ends. (13) Sunday 16th April 2018 — 2017/2018 First semester BREAK. (14) Sunday 23rd April 2017 —2017/2018 SECOND Semester begins. (15) Monday 24th April 2018 — Second Semester LECTURES begins. (16) Mon 19th -Fri. 23th June 2018 — Students Union Week. (18) Wednesday 21st June 2018 — Students Union Government Election. (19) Thursday 22nd June 2018 — RAG DAY. (20) Friday 7th July 2017 — End of second semester lectures. (21) Mon 10th-Fri.14th July 2018 — Second semester REVISION. (22) Monday 17th July 2018 —2017/2018 Second semester EXAM begins. (23) Monday 7th August 2018 — 2017/2018 Second semester EXAM ends. This entry was posted in About Fed Poly Nekede, Academic Calendar, Campus Gist, Post UTME Updates and tagged Fed Poly Nekede, Federal Polytechnic Nekede on October 11, 2017 by Mina. This entry was posted in Academic Calendar, Campus Gist and tagged Fed Poly Nekede, Federal Polytechnic Nekede on October 10, 2017 by Mina.